Updated, 10/20/2011: Sondra Samuels, NAZ’s Chief Executive Officer and a member of its board, thinks the controversial film, Waiting for Superman, has important messages for education reform. Like many voices in that film, Samuels is an advocate of a “whatever it takes approach” to turning schools around, and shares Waiting for Superman’s stance on teacher unions and public schools. In Samuels’ view, what’s positive about No Child Left Behind’s focus on accountability and testing, as well as the term “achievement gap,” is that both bring a “persistent chasm,” rooted in class and race, out in plain view. Now school districts are required to aggregate data, something they did not do when her husband, Minneapolis City Councilmember Don Samuels, was a single father, trying to find suitable schools for his son, Andre. Parents are able to see if schools are failing their children. Still, there is an aspect of focusing attention on an “achievement gap” that Samuels does not like. It’s that it pits groups of American children against one another. What we, as a nation, should be invested in, she argues, is seeing that, “all of America’s children are excelling,” prepared to succeed in a global marketplace. “White kids aren’t doing well (on tests) if you take a global perspective.” She quotes President Barack Obama: “The countries who out teach us today, will out-compete us tomorrow.” This is a central theme of Waiting for Superman. Samuels is also a proponent of longer school days and school years. “The school year in the United States hasn’t changed in 150 years,” she says. “It’s based on an agrarian society. We’re no longer an agrarian society. We haven’t been for some time. We’re now a society of knowledge workers, so why are we still operating like we’re not?” Those countries that are out-competing us have made those changes, she observes. One way that NAZ strives to enhance early childhood education is through engaging parents and neighbor-leaders in its Family Academy. A 12-week program, in partnership with the Minneapolis Public Schools, Family Academy was developed in 2007 as part of the University of Minnesota’s Center for Early Education and Development’s (CEED) place-based project Five Hundred Under 5, designed to promote school readiness in North Minneapolis. In 2010, the Family Academy was handed over to NAZ. Kristina Lemmer, Minneapolis Youth Coordinating Board’s Early Childhood Policy Manager, who leads the Family Academy, reports that to date there have been three 12-week sessions. The first occurred in fall 2010 (Sept. 11-Dec. 18) with 15 families recruited. Ten completed the program. The second took place in spring 2011 (Feb. 19-May 21). The number of families recruited for that session rose to 25, with 17 completing the program. The current session began on Sept. 10, 2011. This time 15 families were recruited, and 10 have been attending on a weekly basis. Note: Family Academy is currently under review and assessment by CEED through the University’s Urban Research and Outreach/Engagement Center (UROC). The research is intended to determine whether plans are being implemented as intended and whether NAZ is making the difference it aims to. Read about other programs NAZ has developed to support children and families from prenatal care to college. While Samuels offers examples of local schools that are “beating the odds”—Harvest Prep and Hiawatha Academy are two standouts—one of her favorites is Robert A. Taft Information Technology High School in Cincinnati. The lowest-performing school in its district, she says, Taft’s performance turned around within five years, under the leadership of its principal, ­­­Anthony Smith. Graduation rates went from 21 percent in the 2000-01 school year, to 95.2 percent in 2009-10. Seniors proficient in math rose from 25 percent to 95 percent during that period, and in reading from 42 percent to 95 percent. In 2010 Taft won a National Blue Ribbon award, the first Cincinnati Public high school to do that in more than 25 years. Regarding innovation and choice, Samuels claims that Minnesotans are fortunate. She points out that Minnesota was the first state in the nation to offer charter schools as an option. According to Samuels, one of the key ideas behind charters is that they’re better able to experiment and innovate, because they can do so on a smaller scale. “It’s harder to turn a big ship (school districts) around.” Now, Samuels says, we see that most schools on the annual “beating the odds” list are charter schools. Not that all charter schools are doing well or achieving their missions, she adds. Getting better is what the district’s public schools should be doing, argues Samuels, so it would be wise for them to look at schools like Harvest Prep that are excelling. However, “Instead of asking, ‘What are they doing at Harvest that’s creating that level of excellence?,’ I keep hearing, ‘Oh, you can’t compare charter schools with district schools.’” The thinking, she explains, is that parents of children in charter schools are more involved in their child’s education, as indicated by their decision to enroll them in one. In her mind, this is simply another form of excuse. Now that “the curtains have been pulled back,” and we have a clearer idea of the depth of the chasm that exists when it comes to achievement, “we need to continue re-thinking and re-imagining what’s possible,” she says. In Samuels’ view, this re-visioning process means doing “whatever it takes” (the title of a 2009 book about Geoffrey Canada), which translates into her endorsement of charter schools, vouchers, reassessing the roles of teacher unions, and moving away from an education system that protects teachers based on seniority, rather than the quality of their teaching, or “last in, first out.” Samuels also serves on the board of MinnCAN, alongside former Gov. Al Quie, attorney Michael Ciresi, former U.S. Rep. Tim Penny, and Hubbard Radio president Virginia Hubbard Morris. Among other things, MinnCAN supports alternative teacher licensure, developing evaluation systems to measure a teacher’s impact on student learning, and a statewide rating system for early childhood education institutions. Samuels recognizes that her positions on reform often make her unpopular, even within many of the circles she travels, but she vows to continue being part of the ongoing dialogue about what works and what doesn’t in the field of education. 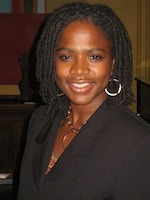 CORRECTION: Sondra Samuels agrees with much of what Waiting for Superman says, but was not featured in the film, as the article originally said.